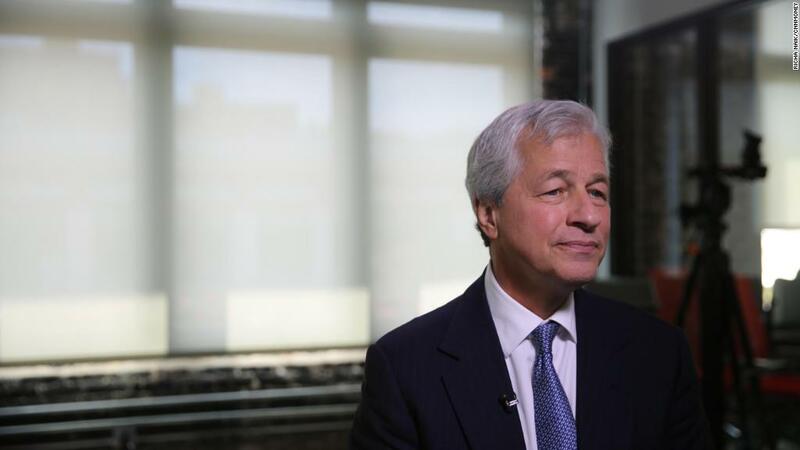 What keeps Jamie Dimon up at night? JPMorgan Chase just made another hire that proves it's serious about artificial intelligence. Apoorv Saxena, a Google executive in charge of cloud-based AI products, joins the bank later this week as head of artificial intelligence and machine learning services. The role also places him in charge of asset and wealth management artificial intelligence technology, according to an internal memo seen by CNNMoney. Saxena, who will work in Palo Alto, is the company's second high-profile AI hire in recent months. The company named Manuela Veloso, who led the machine learning department at Carnegie Mellon University, its first head of artificial intelligence research in May. The recruiting push comes as Wall Street's biggest players race to deploy AI, which could eventually be used for services from fraud detection to loan approval, while making internal operations more efficient. JPMorgan has a tech budget of $10.8 billion for the year, with $5 billion set aside for new investments. "We are always exploring ways to offer our clients faster, better and simpler ways to do business with us," Daniel Pinto, JPMorgan's co-president and head of its corporate and investment bank, said in an April letter to shareholders. "The banks that don't invest will lose ground and will have a long, difficult catchup process." Recruiting talent is part of those efforts, he added. "Looking five to 10 years out, the pace of technological innovation will only quicken as artificial intelligence, robotics, machine learning, distributed ledgers and big data will all shape our future," Pinto said. JPMorgan has made clear it's willing to branch out as it examines new digital opportunities. The company announced last week that it will get into free online stock trading as it attempts to build deeper relationships with the 47 million customers at the bank who use mobile or online banking services. The move sets up JPMorgan to compete with startups like Robinhood and discount brokerages such as Charles Schwab and E*Trade.